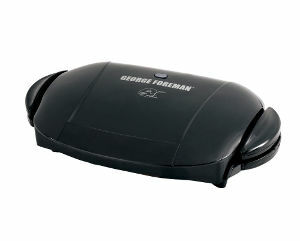 Medium indoor 5-serving grill to use in your kitchen. Nonstick coating and patented slope design make healthy meals. Features dishwasher safe removable plates. Medium indoor grill for perfect grilling right inside your kitchen.